Recruitment refers to the process of attracting, screening, selecting, and onboarding a qualified person for a job. At the strategic level it may involve the development of an employer brand which includes an 'employee offering'. The stages of the recruitment process include: job analysis and developing a person specification; the sourcing of candidates by networking, advertising, or other search methods; matching candidates to job requirements and screening individuals using testing (skills or personality assessment); assessment of candidates' motivations and their fit with organisational requirements by interviewing and other assessment techniques. The recruitment process also includes the making and finalising of job offers and the induction and onboarding of new employees. 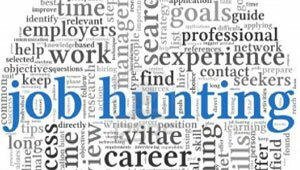 Companies hire us as Head Hunting Consultants to find suitable and niche skill set employee for the demand. You can contact us for your all your staffing demands and we will assist you.